I always roam around and look at classic cases like Larry DeLisio’s. It does no good to simply cite to it if you can’t remember old Larry’s particular DeeeeLemma. And boy howdy did Larry have a dilemma. When you throw in §3.309(e) AO presumptives and the tortuous effective dates in §3.307 (depending on if you ever filed for it plus when it was added to the list), it almost requires a Rand McNally Atlas to navigate. 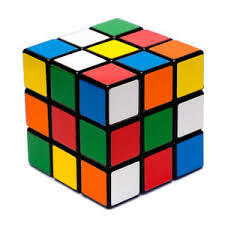 Hell, this thing has more permutations than a Rubik cube so take your protein pill and put your helmet on. Mental seatbelts are optional. Larry was one of a lucky few who served in-country and survived Vietnam. Remember- not everyone who lost his life in Vietnam died there. Many of us today have more wrong with us than we do right…including me. Larry didn’t escape either. He injured his lower extremity and his lower back. Importantly, he claimed he had peripheral neuropathy in the lower left extremity. Layno v Brown says he could do that (say he had numbness down below). He also had other issues like bent brain but we’re gonna get to that waaaaaay later. The actual CAVC Appeal proposed to deal with one intriguing concept-but- like an onion, the more they peeled it, the more layers they encountered that required an antecedent precedential cite with a predicate explanation for why they were meandering down this road. Imagine you’re hunting for illegal Faceplace™ Russian voters who threw the election to Trump. Suddenly, in an about face, you discover Stormy Daniels might be a Russian citizen. So, on that off-chance, you have to raid a law office or two first before you can unravel the pesky Russian connection. The Court referred this appeal to a panel and held oral argument to resolve the novel issue of whether a disability that is secondarily service-connected can have an effective date earlier than the date a claim was filed explicitly for the primary service-connected disability. This all began just before Halloween on October 24th in the year of Our Lord 1980. Larry had caught wind of Agent Orange and filed for it… sort of (symptoms of skin problems, stress, and swollen lymph nodes). a few days later, on All Hallowed’s Eve proper, he filed “a supplemental claim for agent orange condition” and listed symptoms of “numbness in his left leg,” large lymph nodes, erratic heartbeat, a breathing condition, and hair loss. Shoot. I didn’t hear about this stuff until Cupcake saw it on TV in 1991. 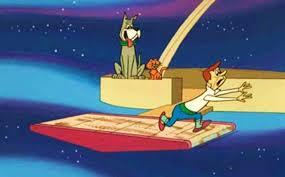 Larry was light years ahead of a lot of us. Too bad we never caught up with Beverly Nehmer back then. Ruh-roh Rorge. Forgrot to do claims. As is so often the case, VA has to play catch up and when they hurry, they tend to break a few eggs. Fortunately for Larry, he was flying solo without so much as a VSO. You would think being pro se bought him a reprieve. Well, not so much yet until Comer v Peake . The pro se white gloves treatment was still a ways in the future. This went up to the CAVC and got a Joint Remand back to the Board to give Larry a shot at the bent brain and his bad back the VLJ ripped him off for. In the meantime (September 1993), Larry, independent of the Board’s processing of the above matters, was diagnosed with “right and left lower extremity peripheral neuropathy secondary to perked diskogenic disease of the lumbosacral area” following complaints of decreased sensation in his legs. He filed for PN in January 1994. Confused yet? Wait. VA did not dispute that the claim above was not adjudicated when, on June 5, 2006, Larry filed a claim for benefits for diabetes and peripheral neuropathy. Ruh-roh, Rarry. Forgrot to do claims again. At the time of this 2006 filing, Larry had an active diagnosis of diabetes. This constitutes “facts found”. If you’re a guy, you mentally make two boxes-one -facts found and; two -when entitlement arose. Of course, if you’re a woman, you have a whole salmon colored filing cabinet going by now with lovely pastel folder tabs to file all this. Now we add the DM II wrinkle. On May 8th 2001, DM II was added to §3.309(e) as a presumptive. Ruh-roh. Need new box. If Larry had filed for DM II at any time prior to 5/8/2001, that would be when his entitlement arose. But now you have to look in the facts found box and you find Peripheral Neuropathy because that is a secondary to …yup… DM II. Relax. We haven’t even gotten started yet. So, two years later in May 2007 Larry’s local Fort Fumble (Reno) found that his diabetes was service connected on a presumptive basis and assigned a 20% disability rating, effective June 5, 2006, the date of his claim for benefits explicitly for diabetes. The same rating decision found that his peripheral neuropathy was service connected secondary to diabetes and assigned a 10% disability rating, effective June 5, 2006. Jez, now we have to start another box for the wrong dates his entitlement arose. The VLJ on this one must have had an odd idea of medical causation or what the word “diagnosis” encompassed. 1994 claim for benefits for peripheral neuropathy was not adjudicated until that May 2007 Reno Puzzle Palace “do over”. However, the Board found that the evidence [facts found] did not support a peripheral neuropathy diagnosis until 2001, and that the medical evidence thereafter mentioned peripheral neuropathy only as a result of diabetes, and determined that Larry was not entitled to service connection for peripheral neuropathy on any basis other than as secondary to diabetes. What was the VLJ smoking? This bordered on a Colvin violation. Apparently that doctor who diagnosed him with left leg neuropathy due to his lower back injuries was full of hooey. 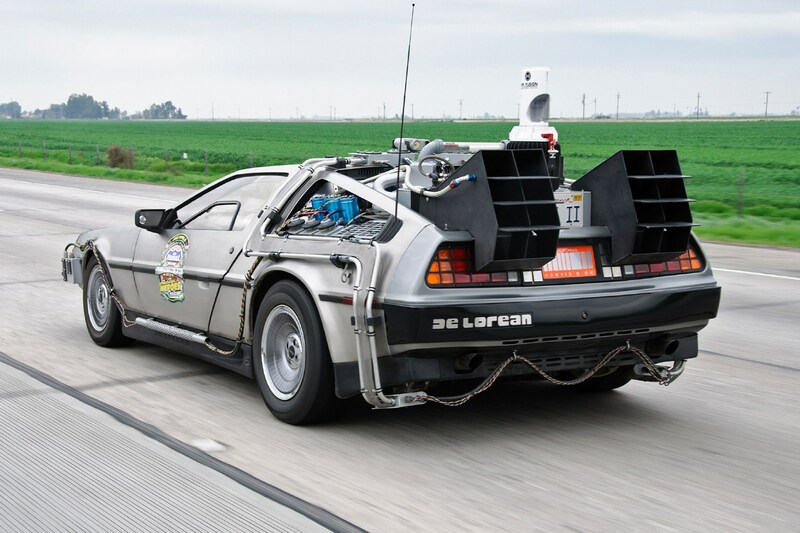 Now let’s get back in the DeLisio DeLorean and journey back to the 80’s. New file cabinets and more boxes, please. disability. After further development, a July 1993 Board remand, and an April 1996 Court order granting a Joint Motion for Remand (JMR), a February 1998 Board decision granted service connection for a low-back disability, as secondary to his service-connected right-leg condition. In May 1998, the Reno Fort Fumble assigned a 10% disability rating, effective April 18, 1983. Larry appealed both the disability rating and the assigned effective date, and a March 2000 Board decision subsequently denied an earlier effective date and remanded the matter of the appropriateness of the 10% disability rating for further adjudication. He initially appealed the Board’s effective-date finding, but expressly withdrew his appeal of the effective date pursuant to a JMR that was granted by the Court in January 2001. Very bad idea, Larry. Three BVA remands later, he did finally end up with 20% for his back from 83-88 and 60% thereafter. Which brings us here to 2009 and Larry’s Notice of Appeal(again). Two years later in August 2011, he’d finally get some modicum of justice. Even if the BVA and the Reno Rocket scientists couldn’t unravel this, the CAVC could-and indeed did. Get out the onion peelers. (“[A] self-represented layperson . . . ha[s] neither the legal or medical knowledge to narrow the universe of his claim . . . . [He does] not file a claim to receive benefits only for a particular diagnosis, but for the affliction his . . . condition, whatever that is, causes him.”) Clemons v. Shinseki, 23 Vet.App. 1, 5 (2009); see also Jandreau v.
(1) a claimant need not file a claim for benefits for the precise medical causes of his condition, (2) the Secretary must sympathetically read a claimant’s filing and investigate potentially applicable theories of service connection, and (3) a claim for benefits for one disability reasonably may encompass other disabilities. VA jurisprudence, as I have watched metamorphose since the inception of the COVA, is unique. The VA Secretary has constantly evolved the arguments we gradually see demolished. Each defeat is like a domino as seen in the instant case. Here, the Secretary at argument, tried to insist that if you were going to file for something, you have to be explicit about what it is you are trying to claim. That flew out the window with Clemons. But even earlier, when a Vet’s widow, one Jovita Espiritu, once opined as to the medical cause of his passing, she was denied because she had no medical training. Similarly, the Layno Court, even though affirming, finally recognized our inherent ability to use our five senses. See Cogburn v. Shinseki, 24 Vet.App. 205 (2010) (noting factors for applying the implicit denial rule, including “the relatedness of the claims,” whether the “adjudication allude[d] to the pending claim in such a way that it could reasonably be inferred that the prior claim was denied,” the “timing of the claims,” and “whether the claimant is represented”); Ingram, supra; see also Adams v. Shinseki, 568 F.3d 956, 963-64 (Fed. Cir. 2009) (considering the language of the decisions, the relatedness of the claims, and the timing of the claims in deciding whether claim was implicitly denied)Thus, because the March 1995 Board decision did not implicitly or explicitly adjudicate entitlement to benefits for left-leg numbness, this  matter was not encompassed in the April 1996 Court order and remained unadjudicated. Because Mr. DeLisio’s October 31, 1980, claim for benefits for left-leg numbness was not withdrawn at the September 1992 pre-conference hearing or finally adjudicated in the March 1995 Board decision and subsequent April 1996 Court order, it remained open when the December 2008 Board decision on appeal was rendered. Moreover, because the claim remains open, the full scope of that claim has not yet been determined. Specifically, the cause of Mr. DeLisio’s left-leg numbness condition has not yet been established. DeLisio teaches us not only the basics of how implicit denial works but the inherent controlling aspects of when entitlement arises versus the argument of how a finding of fact can control an effective date. Judge Lance’s concurrence uses what I feel is a better metric here. The Secretary bases his argument on 38 C.F.R. § 3.400 (2011), which limits an effective date by “the date entitlement arose.” The majority treats this as an interpretation of the “facts found” language in section 5110(a). However, a determination of the legal limitations on entitlement is not a matter that is ordinarily considered a “fact” subject to “finding.” Rather it is an issue of law. Cf. Salve Regina Coll. v. Russell, 499 U.S. 225 (1991) (holding that a determination about an unsettled question of State law is not a factual issue to be reviewed by an appellate court for clear error, but rather is reviewed de novo). Ladies and Gentlemen Vets, allow me to introduce your fellow Vet Larry DeLisio. In my mind, implicit denial should be rarer than hen’s teeth. It would essentially be a rare occurrence based on a true implicit denial intent. VA is dumb. They make all kind of errors. I find them all the time. 20% of my claims are CUE for stupidity. 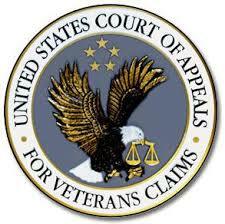 In most cases, VA argues implicitness but is really guilty of forgetting to address it. This opens the “still open” folder and a much earlier effective date. VA will manufacture a paper tiger about what you didn’t do. They always make it personal. The way to overcome this is to carefully unravel the c- file history as the Court did. It doesn’t require a degree. I sometimes slog through a 2000-page c-file and something in my brains clicks and says “Back the boat up to the dock, Gilligan. He had X disease diagnosed in 1984 and VA denied when he filed in 1989? Then they suddenly granted in 2013 based on the same evidence-with little or no argument? That’s not the adversarial Veteran unfriendly VA I know. What gives? Why the Mr. Nice Guy all of a sudden?” When VA throws in the towel, you can almost be sure they owe you far more than you’re being offered and hope you don’t figure it out within a year. P.S. Rest in Peace R. Lee Ermy (1944-2018) 14 months RVN. This entry was posted in Agent Orange, All about Veterans, AO, CAVC Knowledge, CAVC ruling, DM II, Earlier Effective dates, Implicit denial, Informal Claims, Inspirational Veterans, KP Veterans, Lawyering Up, VA Agents, VA Medical Mysteries Explained and tagged asknod.org, Disabled Veteran, DIY vA Claims, Gulf War Vets Help, HCVETS, Help with vA Claims, Helping Veterans, Inspirational Veterans, Service Connection, VA claims, vA claims for diabetes, VA Implicit denial, VA Medical Care, Veterans Benefits, Veterans claims help, Vietnam Veterans Claims Help.. Bookmark the permalink. I am trying to help my father and the VA told him to look here. He was in blue water from 1969-71 on Bradley I am looking for any cases that anyone knows of that they have granted them with service connected disability. Or if someone can guide me to where I should start looking. Thanks for this one. I think it will be useful to me. Well, then. If the analysis will help validate your claims- why then- it was time well-spent.